The Pinz is a well designed truck with a lot of features but in some areas the year of design is clearly visible. The steering wheel is one of these things. 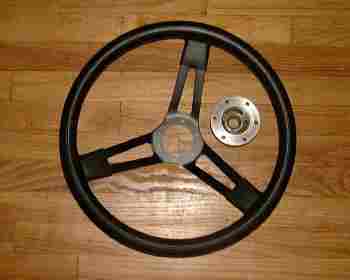 It’s a standard wheel used in many small trucks at that time. 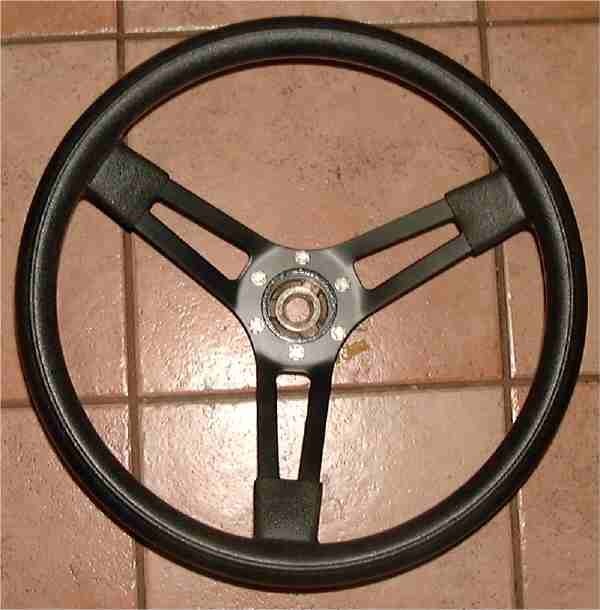 Unfortunately steering wheels had a far to small ring which is tricky for offroad use. 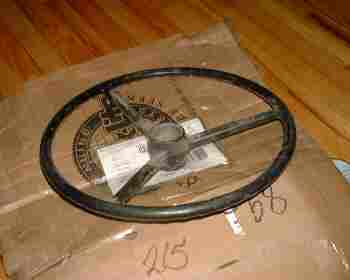 Mike Nims, president of SWPA, came up with a brilliant and reasonable cost solution: use an old Pinz steering wheel, cut everything away which isn’t part of the hub, weld a plate to the hub and install a modern steering wheel. As this is well beyond my homeworker skills I purchased a pretty used Pinz wheel and a Schroeder wheel. Mike was kind enough to bring it to the same company which made his and after a few weeks in AZ it came back to ugly NJ to be installed.